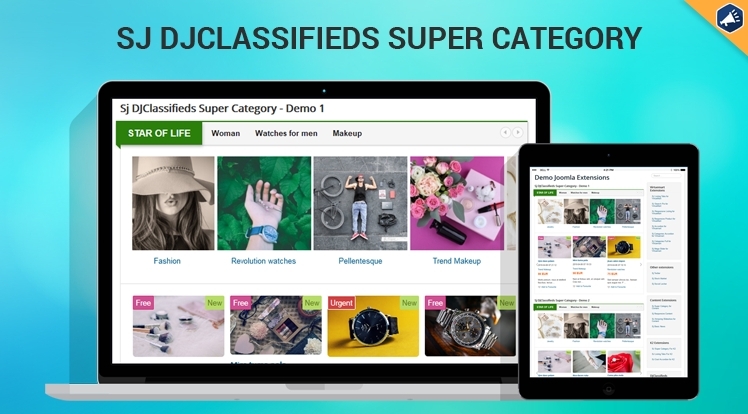 Sj Super Category for DJ-Classifieds Component is released for users who use classified ads extension: DJ-Classifieds. Besides, the Sj Super Category for DJ-Classifieds Component module supports 2 clean Demo Layouts. It can be placed on any highlight position to emphasize your content. The easy-to-use back-end give you more control on the module. And there are many more other awesome features that you can explore through the Demo. 2. Fully compatible with IE10+, Firefox, Safari, Opera, Chrome.